This the moment the boys from Liverpool took total control of their music destiny, Rubber Soul merely the preamble. Look at the album covers I highlighted last week to spot why this was graphically, as well. Everything in-between Please Please Me (1963) to Rubber Soul (1965) were simply variations on the quad portrait theme in each design. Don’t get me wrong. The prefaced albums were still distinctive and beautifully imagined presentations. Till you got to Revolver, that is. A whole new tangent sprung with this work. The Grammy-award winning German artist, Manfred Man bassist, and longtime Beatles friend, Klaus Voormann pulled the feat off. The Lads inspired Voormann through music, all by playing Tomorrow Never Knows for him. The “…most aggressively experimental track” on the album, Lennon’s acid-trip mind-bender. Resulted in a stunner of a record cover by the artist. Part collage and pencil-line artwork, mixed with old photos (some supplied by The Beatles themselves and others via newspapers), the combination delivered surreal imagery for the group’s fans and music worldwide. While the illustration and the band were at it, Revolver also helped pave the way in psychedelic art and rock. Bonus trivia: Revolver was originally titled Abracadabra until the Beatles discovered another band had used that title. 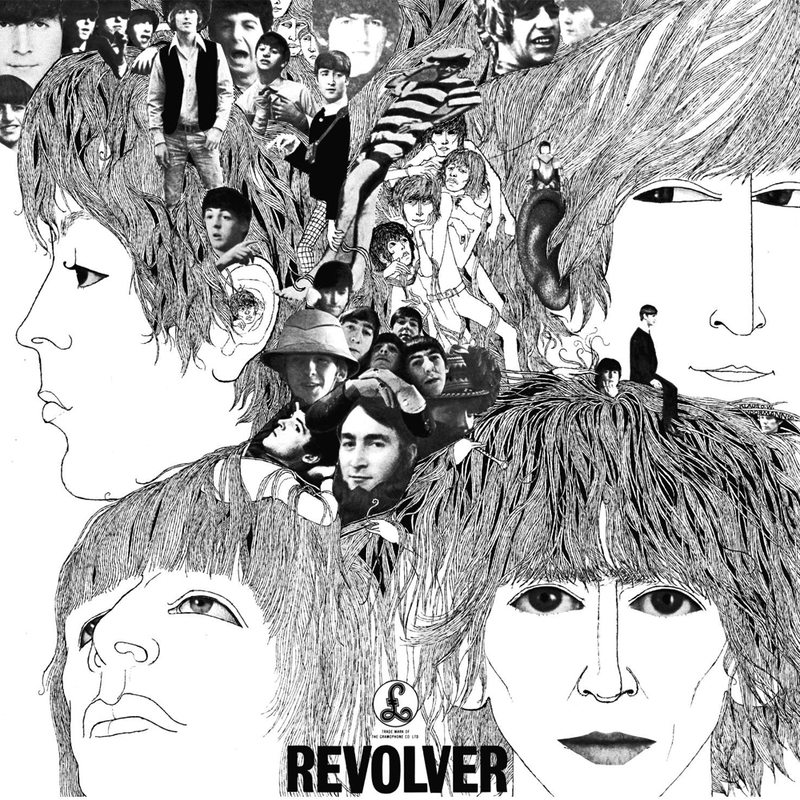 * Revolver was the last Capitol release that differed from the UK Beatles album. Three tracks used for the earlier Yesterday and Today compilation didn’t make the North American version. Leaving us just 11 songs instead of the UK’s 14. Not a huge fan of the Beatles, as much as that may sound like blasphemy, but I will give credit that this album cover truly is something else in its own trippy, 60’s way. Nice post!